"Massimo Roccoli 600 Supersport Italian Champion with CORSARO." 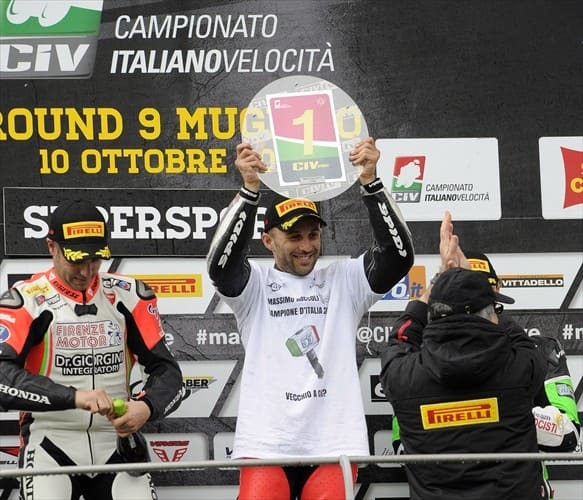 Massimo Roccoli and CORSARO conquer the 2015 Italian title in the 600 Supersport class of CIV. The italian championship ended at Mugello represented an important moment of cooperation between Starlane and Laguna Moto Racing Team for the development and refinement of the new line of wireless data acquisition systems CORSARO with WID-C wireless modules. 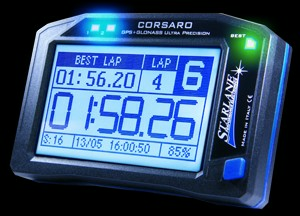 To Massimo Roccoli, and the team manager Andrea Gerini with his staff, all the compliments from Starlane, and many thanks for the valuable development work done during the 2015 season, proved to be a winning contribution to bring the product to the level of quality and reliability currently reached.